The price listed in this ad is not actual price because it is updated daily. Please check latest price and more info at https://aromabelia.com.au/products/aroma-diffuser-essential-oil-locket-pendant-necklace-27mm-vetalia Aroma Diffuser Essential Oil Locket Pendant Necklace 27mm (Vetalia) Features: - 16 designs to choose - Put the essential oil to diffuser pads and then put diffuser pad to locket pendant - Unique and antique necklace diffuser Because of high demand, the estimated delivery time for these products are between 20-45 days. 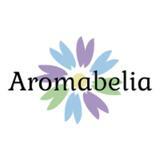 Essential Oil required and sold separately (not included with the necklace) Diffuser Pad is not included with the pendant and sold separately (there is option to choose from selection) Visit us at https://aromabelia.com.au to see more products. Instagram: @aromabelia (https://www.instagram.com/aromabelia/) Facebook: @aromabeliastoreaustralia (https://www.facebook.com/aromabeliastoreaustralia/) Twitter: @aromabelia (https://twitter.com/aromabelia) Name at the back of product name is a store product code and not the original product name.